Baltic Media Centre Fund (BMC) was established in 1994 by TV2 Bornholm, Denmark's Radio, Danish School of Journalism, the Association of Independent Producers, Danish Association of Journalists and a number of other media professionals, including representatives from the Danish Parliament. 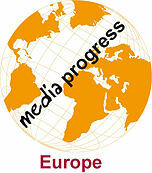 The aim of BMC was to promote peace, democracy and international cooperation by using media. BMC initially collaborated with public and private broadcasters as well as independent producers in the newly independent states Estonia, Latvia, Lithuania and with Russia and Poland in their transition to democracy. Media legislation, media structures, capacity building of journalists and media managers, and co-production of documentaries and other programmes were key elements of BMC's support. Media and independent producers from all five countries were members of BMC's International Board of Expert Advisors. By 1999 BMC activities also focused on South East Europe and the establishment of regional networks between public broadcasters and private broadcaster associations for ten countries of which half had been wartime enemies during the 1990'es. The regional networks TELESEE and SEENAPB established the news exchange ERNO between the public TV-stations and still continued by EBU, and daily news exchanges between national associations of private radio and television. Co-productions, media policy and capacity building, funded primarily through the Danish FRESTA programme, constituted major elements in BMC's support to media development in South East Europe. BMC was also involved in regional projects including training of staff, policy collaboration and co-productions in South Asia and the Middle East. In 2002, the BMC launched and managed a 2-hour daily news programmes - Good Morning Afghanistan -broadcast between 7 and 9 by Radio Afghanistan. This programme ran for nine years until it was finally taken off air in 2011. As of 1994, BMC managed the Balticum Film & TV Festival, originally started by TV 2 Bornholm, which brought together documentary producers from the 9 countries surrounding the Baltic Sea. The Baltic Sea Forum for Documentaries, funding documentary co-productions, was subsequently established. This Forum still takes place in Riga on an annual basis. The Baltic Media Centre Fund and its subsidiaries had a turnover of 3.5 million Euros and 70 employees across 23 countries in 2002. Description of the organisation in 1999 Baltic Media Centre Fund.